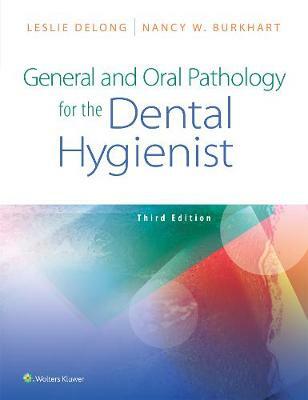 This updated 3rd Edition of General and Oral Pathology for the Dental Hygienist provides the information students need to develop an understanding of basic pathology and recognize the clinical manifestations of oral and systemic disease. In accordance with ADEA Curriculum Guidelines, which stress the recognition of oral disease based on clinical signs and symptoms, the oral pathology section is uniquely organized by distinct clinical/radiographic features of oral lesions to help students evaluate and categorize lesions according to appearance, emphasizing the concept of differential diagnosis. This edition features new "Oral Medicine Considerations" that highlight the relationship between oral and systemic disease, a stunning collection of art work with over 600 images, and a wide range of online resources, such as case studies and practice questions, that reinforce student learning. -eBook available. Faster, smarter, and more convenient, today's eBooks can transform learning. These interactive, fully searchable tools offer 24/7 access on multiple devices, the ability to highlight and share notes, and much more. -NEW! Emphasis on Oral Medicine. Information regarding oral medicine considerations is highlighted throughout the text, acknowledging the current emphasis on the relationship between systemic disease and oral health and aligning with ADEA Curriculum Guidelines recommending the inclusion of oral medicine in the dental hygiene curriculum. -NEW! Board exam-style questions have been added for each chapter, enhancing end-of-chapter content. -NEW! An online, searchable Clinical Protocols eBooklet that features nearly 30 protocols written by experts in the field covers topics ranging from "Performing a Cytology Smear" to "Motivational Interviewing for Behavior Change" provides quick access to patient management information essential for practicing and student hygienists. -NEW! A searchable and printable Condition SummaryeBooklet provides quick access to the most important information about the conditions discussed in each chapter, acting as both a resource and a study reference -Case studies (two per chapter) present a patient example, ask students to assume the role of the hygienist, and now align with new end-of-chapter Board exam-style questions and critical thinking activities -At least two applications in every chapter show how content translates to the real world (Application to Practice) or provide information on current trends (Did You Know? and Research in Action). - Throughout the book, short-answer case study questions and critical thinking activities encourage students to apply information to clinical and professional situations. - Strong emphasis on prevention and early detection of oral cancer prepares students for practice. - UPDATED! Online resources for instructors include additional case studies, PowerPoint presentations with extensive notes, image bank, test bank, and more.